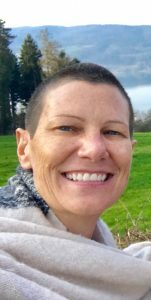 Dr. Wendy Harris (Livtar Kaur) is a KRI Level II Certified Kundalini Yoga Teacher and International Trainer for Beyond Addiction: The Yogic Path to Recovery. She is also the Director of the Addiction and Recovery Specialization at Antioch University in Los Angeles where she trains therapists in a compassionate, multi-dimensional approach to understanding and healing the pain and trauma that seeds self-defeating patterns. Along with her passion for supporting clients in gaining insight to heal core issues for sustainable recovery, she is dedicated to bridging the gap between Kundalini Yoga, academia, clinical settings, and the community.